Considering the historical importance and architectural significance of Ahsan Manzil Palace, the Government was trying to conserve it since the later part of the Pakistani rule. After the independence of Bangladesh, most of the notable person of the Nawab family went aboard in search of livelihood and work. Unauthorized habitation took place by trespassing and unbearably dirty slums grew up in and around the palace due to negligence of concerned authorities. In 1974 the owners of the palace decided to sell it by auction. But the then hon’ble Prime Minister of Bangladesh and the Father of the Nation Bangabandhu Sheikh Mujibur Rahman, cancelled its auction proposal. He realized its historical and architectural importance and on 2 November 1974 he ordered that a museum and tourist center be established here after its proper conservation. According to the order of Bangabandhu the Bangladesh National Museum submitted a scheme with the estimated cost. But due to the tragic assassination of Bangabandhu the work could not progress much. At last, during the rule of President Lt. General H.M Ershad on 11 April 1985 A.D. the government by issuing Martial Law Act no.-4/1985 acquired the Ahsan Manzil Palace and some of its adjoining compound for establishing a memorial museum. Cultural Affairs for the implementation of the project, while the reconstruction and beautification of the building and its surrounding areas were to be done by the Public Works Department. Development plan and architectural design were made by the Directorate of Architecture. Bangladesh National Museum established a new Museum here through the collection and display of the objects in galleries. 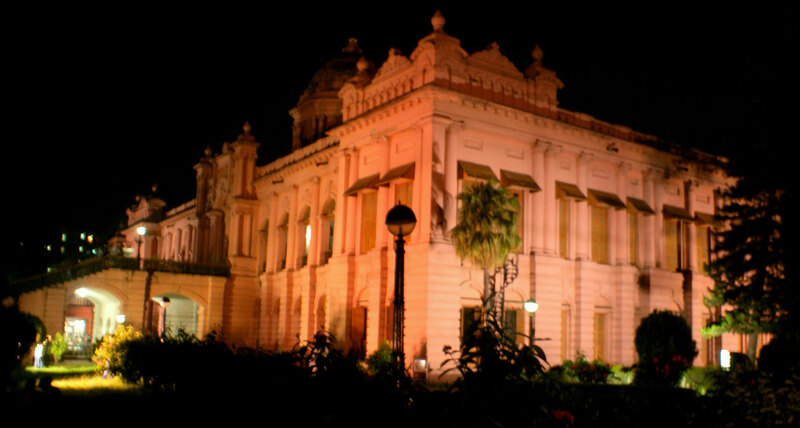 This became a branch Museum of the Bangladesh National Museum with all its controlling powers. The museum was inaugurated by the then honorable Prime Minister on 20 September 1992. Subscribe to get our news in your inbox. © Ahsanmanzil.org.bd All Rights Reserved.